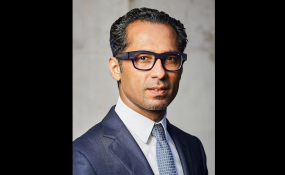 Dar es Salaam — Tanzania's billionaire-businessman Mohammed Dewji, 'Mo' who has been missing since October 11, 2018 when he was abducted by gunmen has been found and is safely back at home. News of the finding of Mo, 43, whose abduction has sent shockwaves around the world begun to filter in at around 3am, today and was confirmed to The Citizen by his father Gullam Dewji. "It is true he's been found and is safely back home," Mr Gullam said on phone. Details of how he was found were not immediately revealed. The news came only hours into the night after Inspector General of Police Simon Sirro earlier on Friday morning said the police had identified a foreign registered vehicle that was used in the abduction. The younger Dewji later tweeted using the MeTL's twitter handle at 3.15am to thank those who had rallied behind him during the 10 days of his ordeal under the 'unknown' abductors. "I thank Allah that I have returned home safely. I thank all my fellow Tanzanians, and everyone around the world for their prayers. I thank the authorities of Tanzania, including the police force for working for my safe return,' twitted Mo in his very first words following the ordeal. Just as it was when he was abducted, the news of him back home spread first on social media as delighted and prayerful commentators cheered him back, some urging him to reveal who his tormentors were. The businessman who is billed the youngest dollar-billionaire in Africa disappeared after gunmen people abducted him in Oyster Bay suburb as he went for his usual morning workout at Colosseum Hotel gym. The identity and motive of those behind the abduction is yet to be established. On Friday Mr Sirro said the police had intensified the search for Mo and that they had reached out to Interpol colleagues in unnamed country (ies) for help.